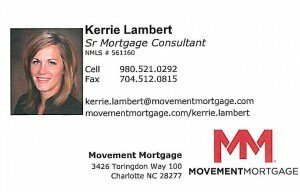 Senior Mortgage Consultant Kerrie Lambert with Movement Mortgage in Charlotte, NC recently shared with me a rent versus own comparison chart. The chart above uses the assumption of renting a home for approx. $2,200 a month versus purchasing the home for approx. $300,000. Based on a 30 year fixed rate loan ( and other loan factors indicated Kerrie’s chart) , your monthly loan payment would be $1,920.33. There are many benefits to purchasing a home versus renting. 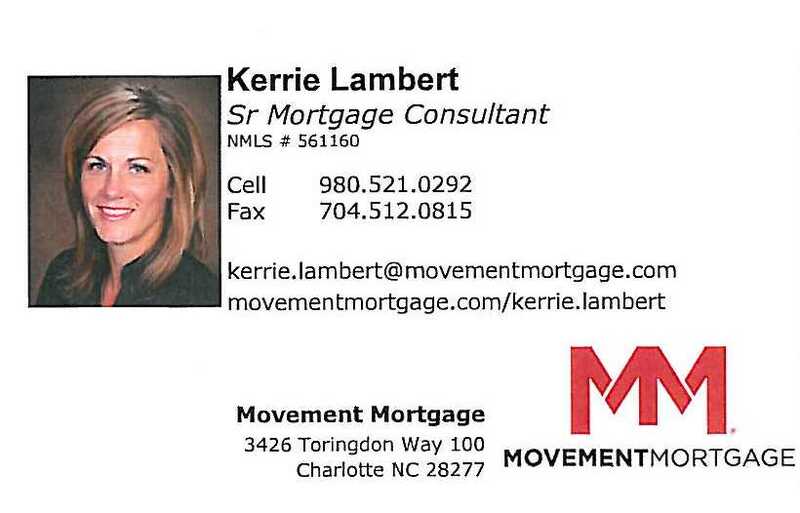 For more details, please give Kerri or me a call to discuss home purchasing versus renting.